Massages are meant to relieve stress caused by dealing with the problems of everyday life. A massage is either given to a particular part of the body or the entire body. There are techniques and tools involved in doing a professional massage, and there are different types of massages, such as full body massages, Swedish therapeutic massages and prenatal massages. Some studies have found massages help reduce anxiety, digestive related problems, headaches, soft tissues strains and injuries. Massage has been a used practice for thousands of years. The stresses of life, including work, family, and others, take their toll. Massage is a way to treat these issues and restore peace to your life. There are numerous types of massage styles, and each aims to relieve pain and stress. 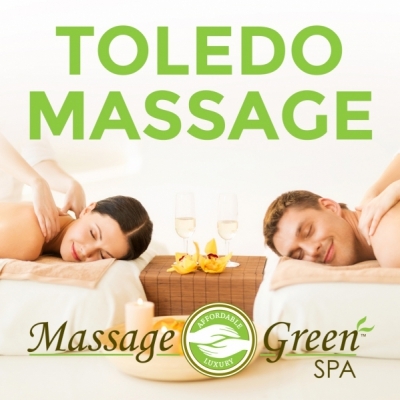 Swedish therapeutic massage toledo is a popular option for relief from pain. Many massage styles will reduce your stress and help you get relaxed, but Swedish therapies help you with pain relief and quick recovery from injuries. Massage Green Spa Toledo offers Swedish massage and other types of massage to help with what ails you. Sports injuries can range from being minor to excruciating. Nearly every athlete gets injured at some point during their playing days. Avoiding injuries is difficult, and it is important for them to get healthy as quick as possible so they can keep playing. Sports injury massage therapy in toledo can help athletes get back onto the field. Sports injury massage therapy can alleviate pain by using a method called deep tissue massage on certain parts of the body. Deep tissue massages can also be beneficial to average joes who work 40 hours a week to support their family. Everyone gets injured, whether they play sports or work an average job. 1. Pain relief: Sports injury massage therapy reduces physical pain and also has psychological benefits. "The biggest wealth is health", is not it true? But are we really able to keep ourselves healthy in this modern, busy era? Most of us will have some or other minor problems like stress, headache, restlessness, anxiety but we ignore it or frequently take pills, which leads to major problems later. Massage is one of the safest modalities used since ancient times. Massage is believed to give relief from generalized anxiety. Massage is the art of working and acting on the body with pressure. It originated around 1,500 BC or even earlier than that. Techniques in massage have undergone modification and have become even better. By the use of modern massaging devices, massage therapy offers additional benefits.